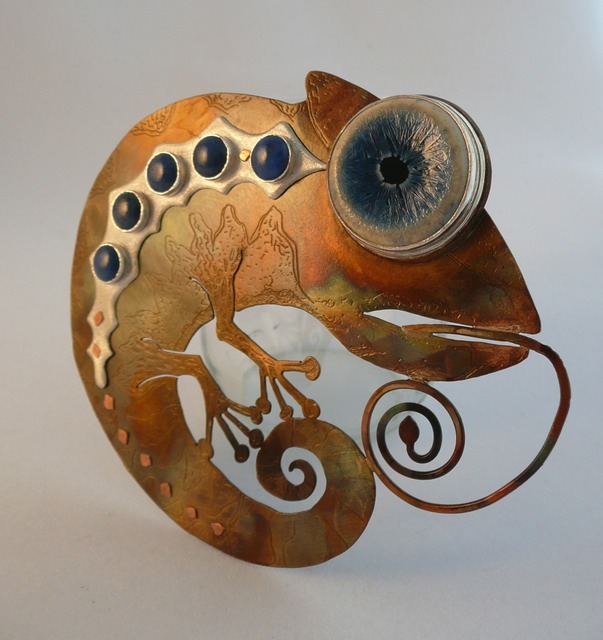 "Chameleon", etched, heat-coloured, riveted, and bezel set. Sterling silver, bronze, and copper, 4" x 4", 2011. Sold.